Situated in the Borrowdale Valley, in the heart of the Lake District National Park, Derwentwater Independent Hostel is a magnificent Grade II listed Georgian mansion, standing in 17 acres of grounds, with a beautiful waterfall, wildlife-rich woodland, and a large grass play area. The hostel is two miles south of Keswick, overlooking the entrancing lake Derwent Water. Derwentwater Independent Hostel became independent of the Youth Hostels Association in November 2011 and today the hostel is managed by Kathy Morris and Dave Piercy as a charitable not-for-profit company. The 88-bed hostel remains committed to giving young people affordable access to the Lake District National Park, combined with the spirit of adventure and community which the hostel offers to all. It is a great base for individuals, families, interest groups, schools, and parties, with plenty of recreational space, including a TV lounge, a games room, a second lounge, a large self-catering kitchen, a table tennis room, and a large grass play area. There is free WiFi throughout the building. The hostel is licensed and offers a full meal service, with a good reputation for home made food. 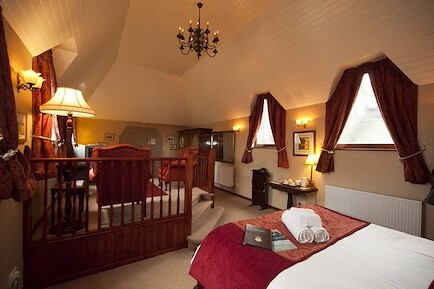 Many of the spacious bedrooms have lovely original architecture. Red squirrels are frequent visitors to the wildlife-rich grounds. The grounds also include many different types of trees, football goals, picnic tables, and access to the lake, where you can launch small watercraft. Borrowdale has something for everyone: walks along the lake shore, challenging mountains, water sports, mountain biking, climbing, gorge scrambling, and plenty of cafes. The C2C National Cycle Network route and the Wainwright Coast to Coast walking route pass close by. The friendly hostel staff are happy to help you plan your days. We also have a programme called 360 Education + Adventure for schools and youth groups. Our Education Officer, Katy Moore, can provide customised, creative cross-curricular activities, while our experienced local partners Glaramara and Plattyplus provide adventurous activities such as climbing and kayaking. The hostel is located on the Borrowdale Road (B5289), 150 metres south of Ashness Jetty, and about 2 miles south of Keswick. There is a bus stop at the bottom of our driveway, and if you are coming from Keswick, our driveway will be on your left. Your enquiry will be sent directly to Derwentwater Independent Hostel. Please fill in as much detail as you can.